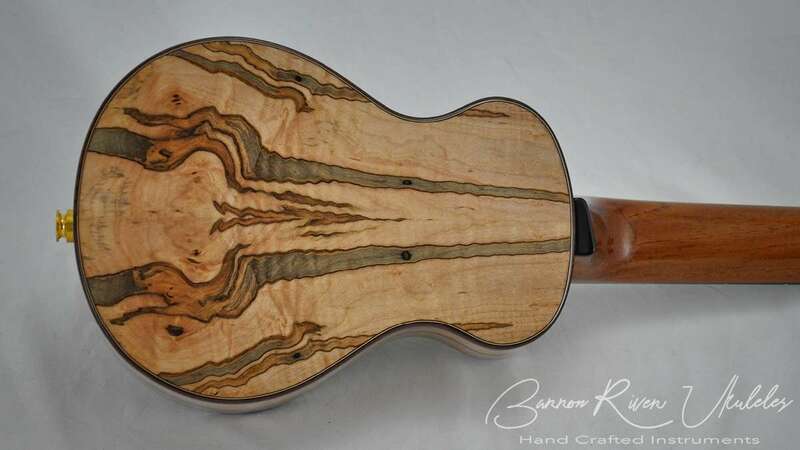 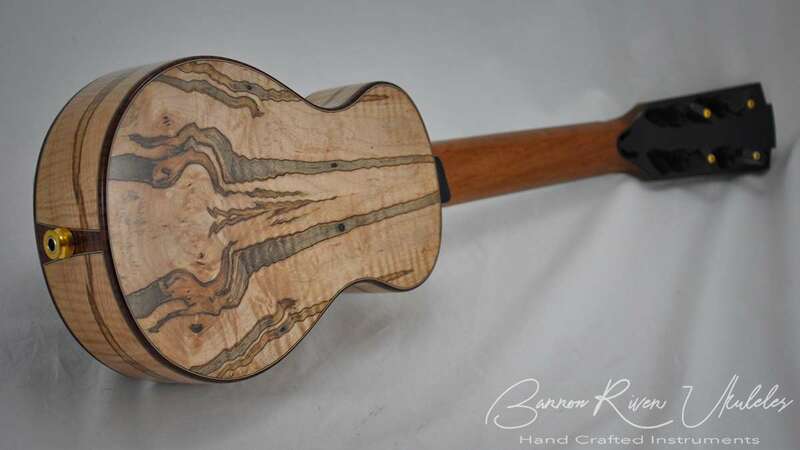 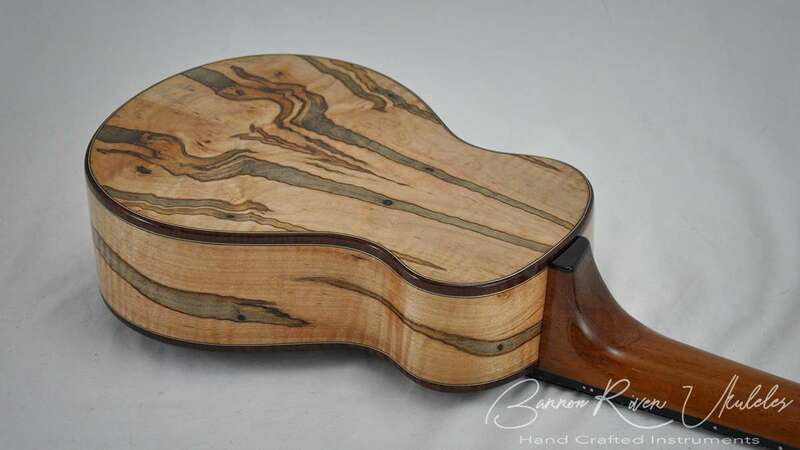 Very colourful Ambrosia Maple with a curly figure paired with an Ancient Spruce soundboard. 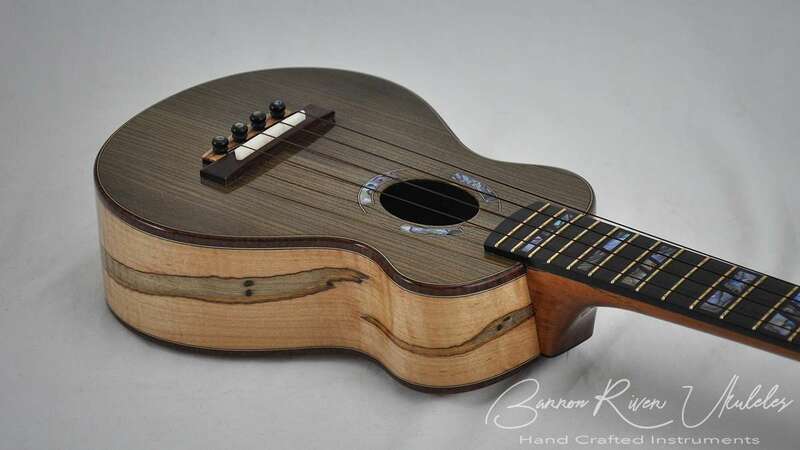 Curly Jarrah Bindings and End Graft. 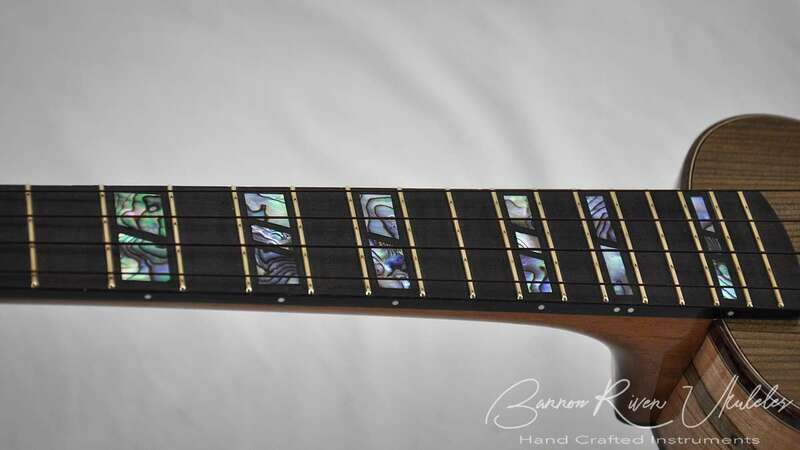 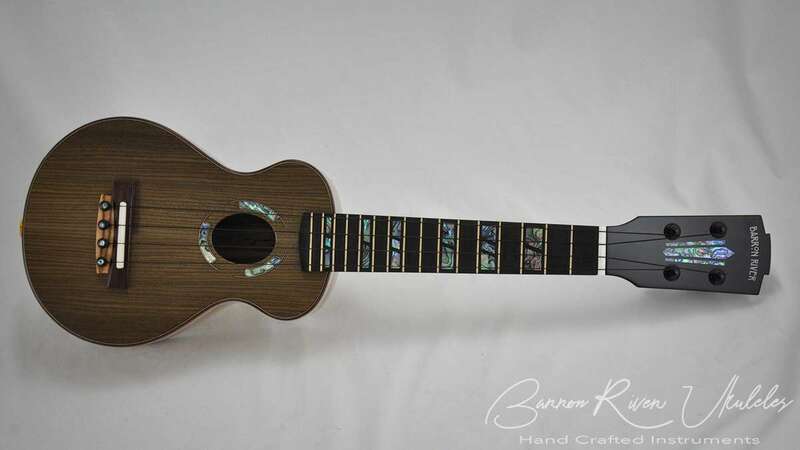 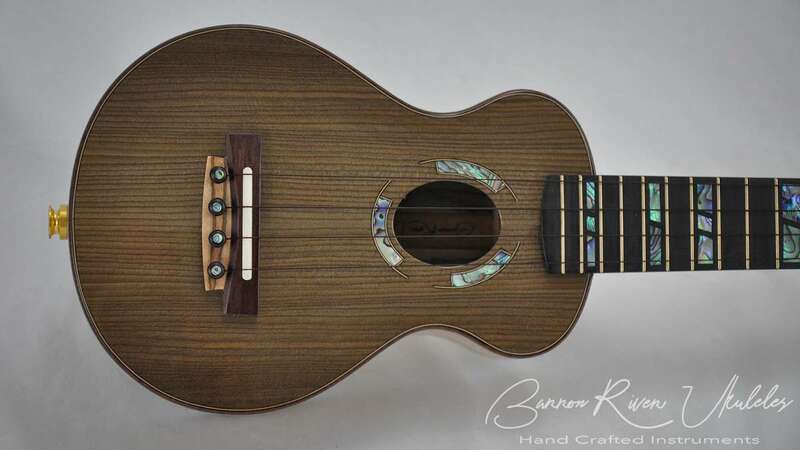 The Ebony fret board has a 12" - 16" compound radius and 14 frets to the body is a rarity in a soprano. 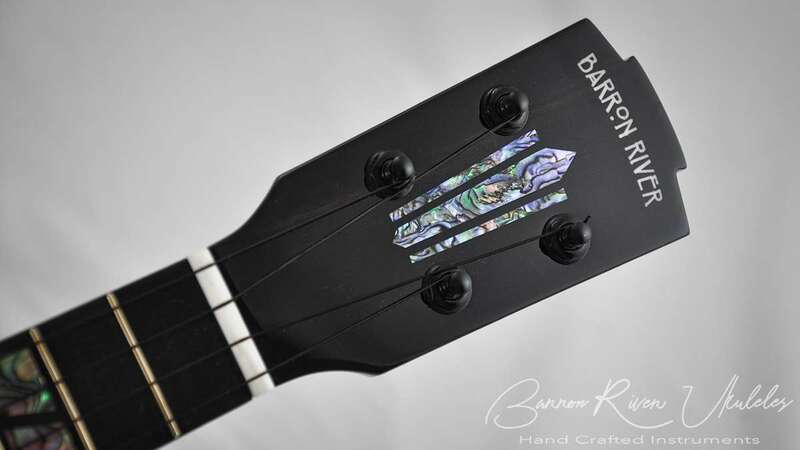 4:1 planetary Gotoh UPT tuners. 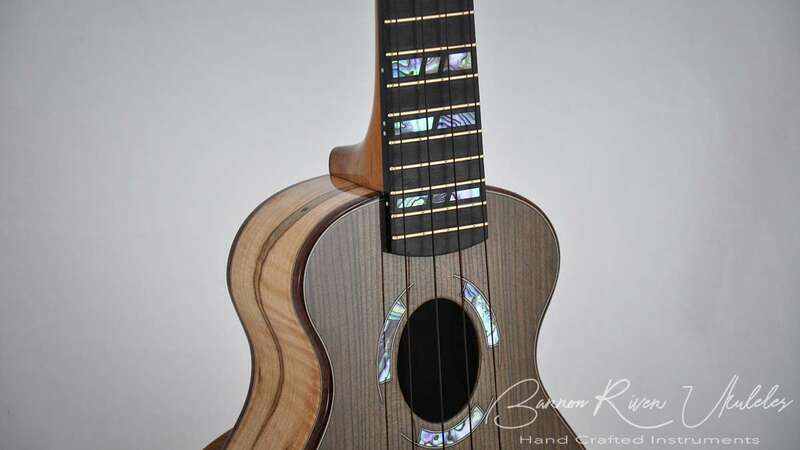 Finished in a high gloss.